So far Daniel Popa has created 4 blog entries. 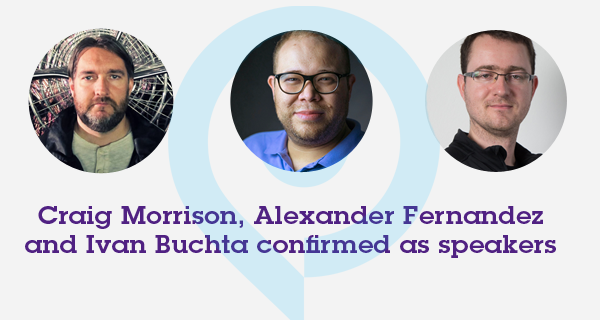 The first set of speakers for the devcom developer conference has been revealed: between Craig Morrison (Design Manager at Blizzard, Irvine), Ivan Buchta (Creative Director at Bohemia Interactive, Prague) and Alexander Fernandez (CEO of Streamline Studios, Malaysia), numerous leading games industry voices from all over the world have confirmed their appearance. This has been announced today by Aruba Events, Koelnmesse (Cologne Trade Fair) and BIU – the German games industry association, who are creating up the new industry meeting devcom. The first sessions at the devcom developer conference highlight its international focus and varied program. Its topics include virtual reality, mobile games and game design. Craig Morrison, a lecturer and experienced MMO-designer working with Blizzard, will lay out clear rules for effective collaboration in small or large creative teams. 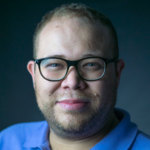 Alex Fernandez, an entrepreneur and expert on outsourcing, is going to examine the current development landscape, which requires close cooperation between developers, publishers and contractors. Ivan Buchta will explain Bohemia Interactive’s unique approach of using geodata and geoinformatics to create realistic environments for their games. 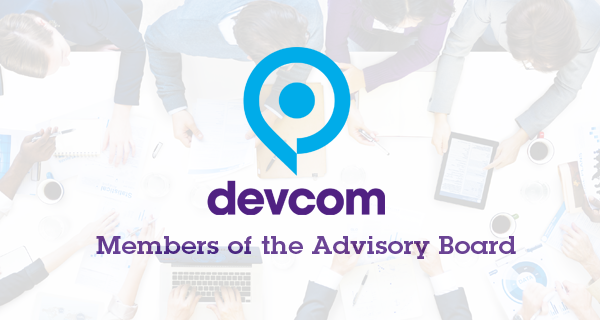 devcom today present the advisory board of the conference. Among the board members are hands-on developers, entrepreneurs, corporate officers and creatives from the cultural sector. They cover many areas of industry expertise and will be responsible for the conference programme and speaker selection. Right now the board is hard at work selecting speakers and building the conference program from about 240 qualified lecture and panel entries. The devcoma dvisory board collectively aims to represent a diverse demographic cross-section of the game and digital media community. More members will join over the next months leading up to the event. 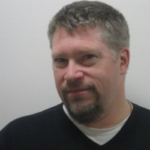 Matt Firor, President of Zenimax Online Studios, comments: “Devcom’s advisory board represents a strong international focus and a broad approach to conference content. I am very glad to be a part of this dynamic group and of this exciting project. New games industry forum devcom will take place alongside gamescom in Cologne for the first time this summer. From August 20 – 24, 2017 (Sunday to Thursday) devcom presents a stellar line-up of events including the devcom developer conference (Sunday to Monday), devcomsummits and new info exchange area, the devcom developer lounge, as well as the official gamescom keynotes. Rounding off with indie conference RESPAWN, the devcom program features exciting content delivered in talks, workshops, keynotes and tutorials, across the spectrum of the games industry. 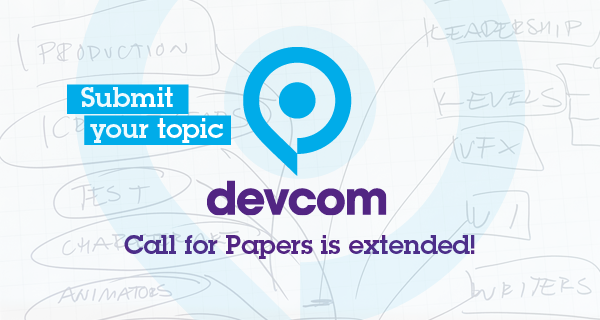 In line with our remit to provide top-quality games industry business content, we have extended the call for papers submission deadline for devcom to May 12. 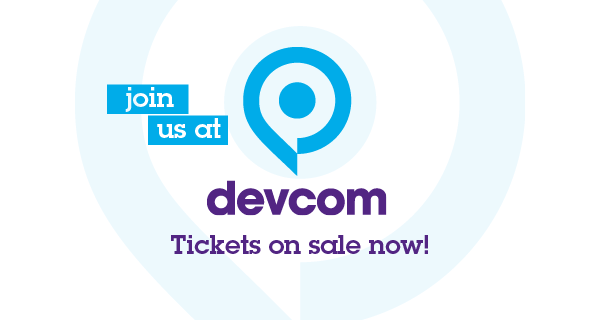 We would like to invite you, as industry experts and insiders, to submit your ideas, topics and other suggestions to be considered for devcom 2017.
devcom: Ticket sale has started! Tickets for the new premium business forum devcom are available online now via https://devcom2017.eventbrite.de. A limited number of Early Bird tickets are on offer at 15% discount until May 31, 2017 – first come, first served! Brand-new games industry forum devcom will take place alongside gamescom in Cologne for the first time this summer. From August 20 – 24, 2017 (Sunday to Thursday) devcom presents a stellar line-up of events including the devcom developer conference, devcom summits and new info exchange area, the devcom developer lounge, as well as the official gamescom keynotes. Rounding off with indie conference RESPAWN, the devcom program features exciting content delivered in talks, workshops, keynotes and tutorials, across the spectrum of the games industry. Interested in finding out about best practices, the latest trends, doing business more efficiently or growing your network? devcom is where it will be happening.